A few more comments here. I hope I have gotten all the wines that I have tasted here, but I almost posted this a few times, and then only at the end did I remember I forgot a few. Also, this year’s list is far longer, for a few reasons. One, I was far more careful and I tried to include all wines I tasted that were A- or maybe a drop below, AKA 90 point wines. Also, I have gotten to taste more wines as every year passes. Still, I am sure I missed a few. When I taste them – I will post them! Finally, there are more better wines this year. Many from Israel but France has finally stepped up with new vintages, along with Spain killing it as always, whites from Israel, and Cali really showing strong this year as well. I want to stress those lines again – this year is one of the best years for kosher wine – maybe the best. Why? Because more kosher wine is being made than ever before, and the wines are improving. Thankfully, new wineries like Kishor, Shiran, and others are popping up in Israel and are finally toeing the line! Recanati is fully inline now, and Dalton is also toeing the line with their higher end wines and their new lower end wines. What can I say, Israel has always been the white and sparkling wine mecca, but now some smaller and more concerned wineries are moving the needle on reds as well. Enough said on this – just keep looking for good news as I get to actually blog about this good news – notes and story wise. Till then, just follow the list! Lastly – there are four new section, to highlight the largest positive move I have seen so far in the mevushal and low-cost wines. Those are the Below 10 dollars and the below 15 dollars sections. 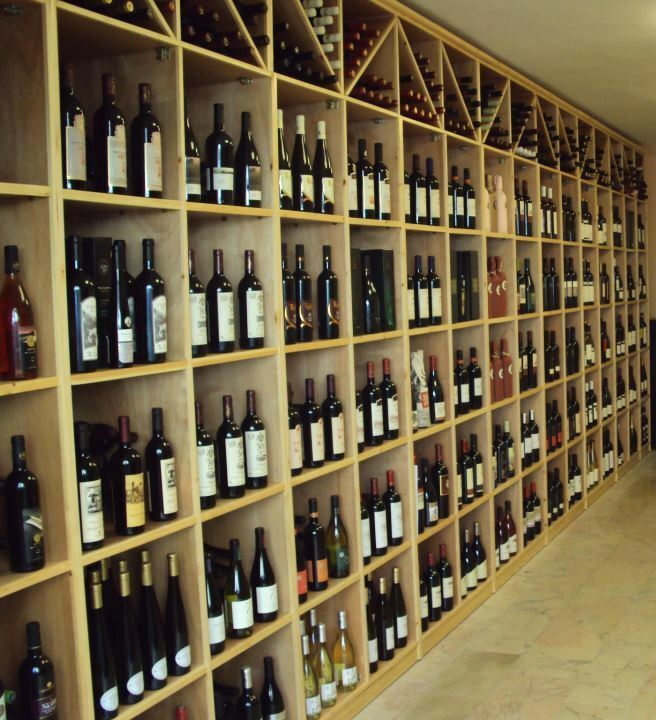 Sure, they are owned by two folks, Terrenal and Herzog, but this highlights a very important fact – WE CAN make good low-priced and mevushal kosher wines in California – WE CAN! I have been told for the longest time that we cannot do it. Well kudos to Joes of Herzog (Joseph Herzog and Joe Hurliman)! The two people have proven the industry wrong and I hope they keep doing so for a long time! The 2013 Herzog high-end wines are the best in a very long time, and the 2014/2015 lower end Baron wines prove that affordable good kosher wines exist and can be produced – now we need to see that from Israel. Terrenal has proven it can be done in Spain and Chile, now it needs to happen the world over! BRAVO to Terrenal and Herzog! The other two lists are Israel only wines and Europe only wines that I have had the enjoyment to taste. Porto Quevedo, Ruby Port, n.v.
2014 Tura Gewurztraminer – Lovely! 2013/14 Recanati Syrah/Viognier – lovely! 2013/14 Recanati Wild Carignan – LOVELY! 2013/14 Recanati Marselan – LOVELY! Posted on April 5, 2016, in Israeli Wine, Kosher Dessert Wine, Kosher French Wine, Kosher Red Wine, Kosher Rose Wine, Kosher Sparkling Wine, Kosher White Wine, Kosher Wine, Wine, Wine Industry and tagged best kosher wines, top kosher wines. Bookmark the permalink. 27 Comments. Nice reading this David….and great seeing you at the winery today! Sorry I missed saying goodbye. Always a pleasure to share a bottle of wine and a meal w/you! Thanks again for your ever so helpful list. David Thanks for all the Great Posts, your blog is definitely Awesome QPR 😉 , Have you tasted the 2013 Dalton 20th Anniversary Red, wondering how it might compare to the 2006 Dalton Matatia ? In comparison to the red 20th and Matatia, I would go with the Matatia over the 20th. We enjoyed a delicious bottle of the 2006 Matatia a few weeks ago, planning to open my last bottle on Pesach Be”h. I was wondering if I should purchase a few bottles of the 2013 Dalton 20th Anniversary Red to replace those, wondering if the Red is made in a similar style to the Matatia ? I like that Mat Jr 🙂 , wonder what Alex would say 😉 ? I’m thinking it’s a bit pricey for what it is or am I off base ? 60 dollars for that wine is a stretch – not a QPR clearly. But a better deal may be at the Duty Free if/when u come back from Israel trip. Any idea if the 2010 Herzog Cabernet Sauvignon One Plus XII is still available ? I see that you mentioned these wines in your list, were these the wines included in the August shipment? If not when were they sent? I just recently became a member of the Eagles landing cellar club (per your recommendation) and they told me they were sending me a Zinfandel, Pinot noir, Syrah, fledgling, and a Sauvignon blanc. What were your thoughts/wine notes on these wines (part of the August shipment)? I was able to find some tasting notes for these wines. I believe the eagles landing Syrah I will be receiving is the 2014. Have you tried this vintage? How did it compare with the 2012 you reviewed and put on this list? Also what did you think of the Eagles landing fledgling? I’ll have to get back to you on what the fledgling is once I receive my shipment (Tuesday or Wednesday), when I signed up for be cellar club I was told it is a red blend and “Joe’s baby”. Being that u am getting only kne bottle of each of these, would you suggest to cellar them until they peak or drink on release? If cellar, for how long? Did you prefer the more austere or the more fruit forward Syrah vintage? By austere would you say it’s more old world/French style? Btw they told me that this was part of the August cellar club shipment, I was under the impression that you were part of that club, it’s strange that you haven’t gotten the SB and the fledgling. I am not part of the wine club, so I did not get to taste the wines, other than at the winery or when my friend who is a member brings them over to taste. I would let the Syrah ride a year or so. The PN is ready to drink (last year it was closed). Enjoy and tell me about the baby fledgling please.